New York City has a number of ambitious development and infrastructure projects underway. Manhattan's most recent transportation upgrade came in the form of the glistening, $4.5 billion Second Avenue subway line, which opened on January 1. On the other side of the island, Hudson Yards — the most expensive real estate development in American history — is under construction. And on an island in the East River, Cornell University is building a glassy tech campus with classrooms, a hotel, restaurants, and shops for future graduate students. By the middle of this century, the city will look different, and will likely attract even more new residents and tourists than today. From Manhattan to Brooklyn, here is a look at some of the most substantial projects set to be completed in the next two decades. Since the September 11 attacks, New York City has been working to redevelop the 16-acre Manhattan site where the Twin Towers and surrounding buildings stood. As of January, 2017, 1 World Trade Center (also known as the Freedom Tower, the tallest skyscraper in the city), 4 World Trade Center, 7 World Trade Center, a new transit hub, the 9/11 memorial and museum, a mall, and a park are all complete. Two more towers, a small church, and a performing arts center are still in the works. Construction is set to be finished by 2020. Located on Manhattan's Lower East Side, Essex Crossing will feature 1,000 apartments available to low-, moderate-, and middle-income residents. The $1.1 billion development will also include a Regal movie theater, a new street market, a bowling alley, and a cultural space. The once-abandoned site, which features many parking lots today, is the result of a failed 1960s urban renewal scheme by mid-century developer Robert Moses. 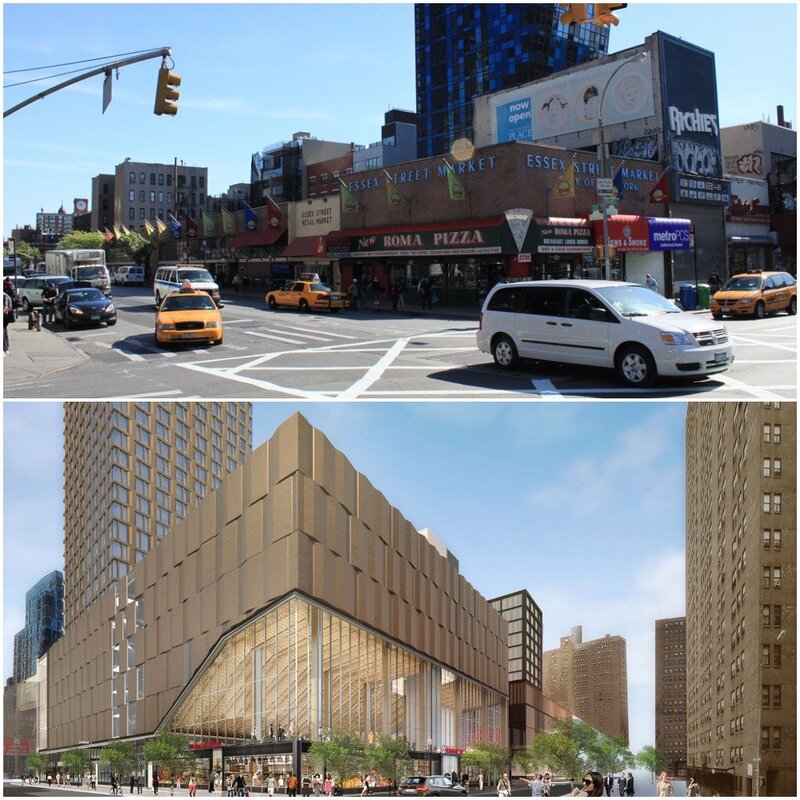 Construction of Essex Crossing began in 2015 and is set to be complete by 2024. Cornell, the Ivy League university located in Ithaca, New York, is building a new campus that will dominate NYC's Roosevelt Island. The development, which will feature dorms, offices, classroom buildings, restaurants, and a hotel, will span 2 million square feet. Costing an estimated $2 billion, the campus will open in 2017. The university received $100 million in capital funding from the city to help build the campus. Hudson Yards is a 28-acre mega-development that contains 33 smaller projects. The new neighborhood is expected to be completed in 2024, and will be comprised of residential units, retail, restaurants, office buildings, and a public square. The area will stretch from 30th to 41st streets and 10th and 11th avenues in Manhattan. Costing an estimated $20 billion, the overhaul is billed as the most expensive real estate development in American history. Before the development broke ground, the area was a rail yard and offloading space. Hunters Point South will be a 30-acre mega-development in Long Island City, Queens that prioritizes affordable housing — the largest of its kind in New York City since the 1970s, according to Curbed. Over half of Hunter Point's 5,000 units will be offered below market rate. Gothamist reported that over 93,000 people applied for the apartments in 2015. The site will also feature a school, retail, restaurants, and a waterfront park with a ferry. The project broke ground in 2013, with the second of three phases expected to be complete in 2018. There's no word yet when the third phase will be done, but so far, Hunter’s Point South has received over $2 billion in private investment. 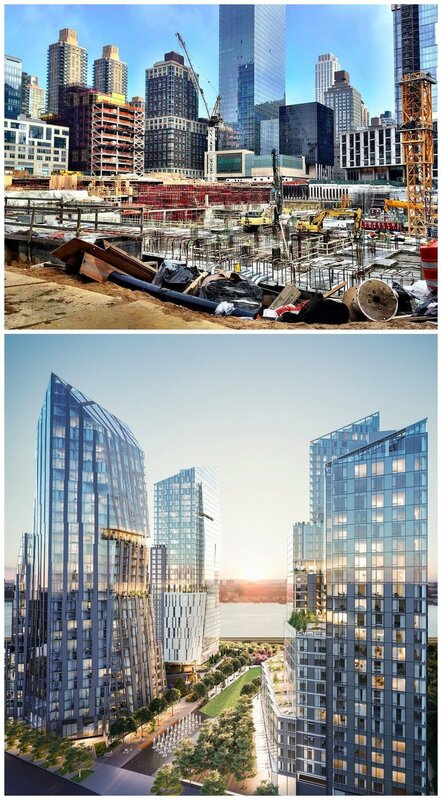 Formerly known as Atlantic Yards, the $6 billion Pacific Park project will bring 6,430 new apartments (2,250 of which will be priced below market rate), an eight-acre park, and a variety of shops to Prospect Heights, Brooklyn. The site already boasts the world's tallest modular apartment building, which opened in November 2016. The full Pacific Park development should be complete by 2025. The current buildings and streets in Industry City, an industrial complex in Brooklyn's Sunset Park neighborhood, date back to the 1890s. But a major redevelopment project is set to give them a makeover — the revamped Industry City will feature a hotel, shops, and a 16-building hub for tech startups. Construction started in 2012 on the multi-billion-dollar project, but developers have not announced a completion date yet. Set to be complete within the next decade, Greenpoint Landing will feature four acres of parks, a K-8 public school, and ten residential towers, adding 5,500 units to the Brooklyn neighborhood. Construction started in 2015, and one building is already open. The $1.5 billion Domino Sugar project seeks to redevelop the post-industrial waterfront of Williamsburg, a neighborhood in Brooklyn that's one subway stop away from Manhattan. It includes the conversion of a former Domino Sugar factory into a 380,000-square-foot office space, another 220,000 square feet of office buildings, six acres of parks, as well as several residential towers that will add 2,800 apartments. Construction on the 11-acre, luxury housing development began in 2015, and will be complete around 2025. The first residential tower is set to open in summer 2017. 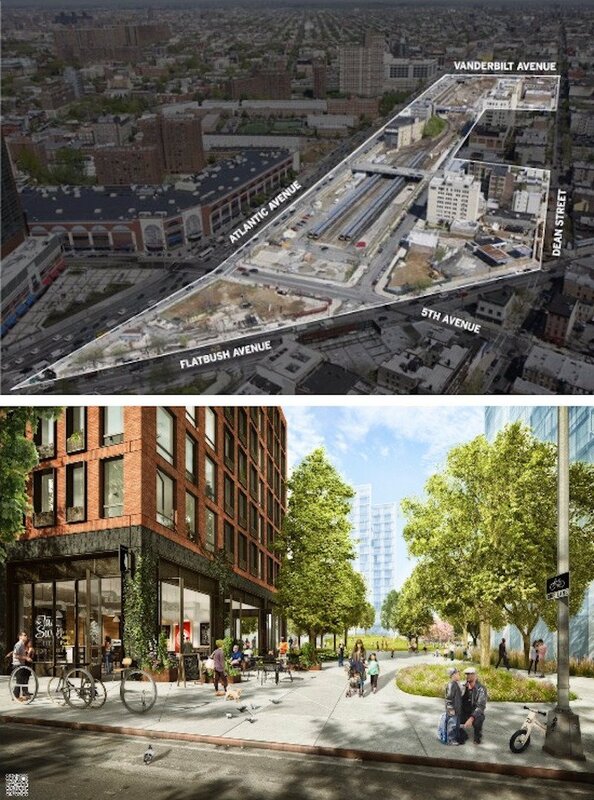 The $3 billion Willets Point redevelopment — including 3,000 housing units, a public school, a hotel, a shopping center, and an entrainment complex — will be complete by 2032. Construction on the 62-acre, three-phase project started in late 2011. Designed by starchitects including Rafael Viñoly, Kohn Pedersen Fox, and Richard Meier, Waterline Square is a five-acre, $2.3 billion plan for Manhattan's west side. The project is set to be complete by 2019, and will include three residential towers, three acres of public outdoor space, and 100,000-square-feet of amenity spaces.